Mostly Books bookshop in Abingdon : The Death of Booksellers? Discuss. 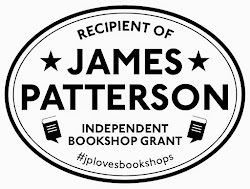 The Death of Booksellers? Discuss. Yesterday I had the great privilege of talking to students on the MA Publishing course at Oxford Brookes about the bookshop. My talk slotted into talks by other industry figures and so I gave my talk the rather upbeat title of “The Death of Bookselling?” (obviously the question mark is key, and I hope that by the end of the talk I had successfully argued that, whilst hard and rapidly changing, bookselling – and independent bookselling – is still very much alive and kicking). 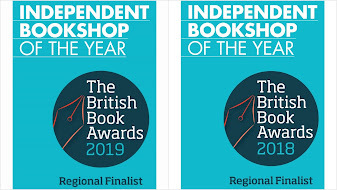 Anyway, part of the talk was to stress that, to make a modern bookshop work, there are a large variety of different events that go on around the core retail operation, so (to any of the students visiting this page) this blog post is sort of a ‘refresher’ to the main part of the talk. It’s always a bit daunting doing this sort of thing, particularly after lunch (referred to colloquially as the ‘graveyard shift’ on the lecture/conference circuit, making my talk title doubly appropriate), but the 75 students (who I understand hail from 24 different countries) were a very attentive and engaging audience, and it was a lot of fun to prattle on about my favourite subject (Mostly Books) for nearly an hour – and answer questions afterwards. It was an interesting week to give such a talk. Two week’s previously we had had our fun-packed, white-knuckle ride of an event with Gervase Phinn, and last Monday (by way of a bookgroup meeting or two) I had had an extremely intense meeting in London, the climax to nearly four months of a debut novel-reading marathon, being a judge for the Costa awards this year. The four-book shortlist that we decided on will be announced on Front Row next Tuesday (16th Nov), but all three of us are hoping that the list represents a diverse and engaging collection of the best new writing, and a snapshot of the state of new novels in the past year. It was a huge responsibility choosing books from the list of over 40 books that I received, knowing that selection may mean the difference between a new author 'making it' or not. (Once the shortlist is out BTW, there are other books that deserve an honourable mention from the books that I read, and I look forward to breaking silence on these next week. Then last Saturday, we were very honoured to be invited along to run a bookshop at the Storyteller’s Conference, at the (it has to be said, gorgeous) offices of OUP in Oxford, organised by the Oxford Children’s Book Group. and it was very exciting to meet one of our shop-favourites Mary Hoffman (author of the extranvaganza series, amongst many other fab books). Sunday: day off. Monday and Tuesday was spent preparing for the return of the Mostly Bookbrains Literary Quiz. We held this last year, and this year the quiz was held to raise money for the Friends of Abingdon Museum restoration appeal, and we had teams from the council, local schools, book bloggers, our own bookgroups and customers competing to be Mostly Bookbrains 2010, and a motley collection of wine, chocolates and books that we had rustled up for prizes. The Friends of the Museum ran a bar and raffle, and the youth group acted as car park attendants and waiters for the evening. Thanks to the great support from the town, and The Friends, and not forgetting the brilliant efforts of quiz-meister Annabel, we believe we have raised over £600 towards the appeal. The trick with all of this activity is not to detract from the running of the bookshop. So, my final question to the students on the course. Is bookselling dead? Discuss.﻿..
What a week or two you've had! I enjoyed the quiz immensely as always, and thank you for the flowers - they're looking pretty by our fireplace. Bookselling is certainly not dead, long may it continue. independent bookshops are certainly where it's at as far as I'm concerned. The expertise, customer service and wide range of well chosen stock together with all the wonderful events make them a real part of the community and should be supported. (BTW Having had a go on a friend's Kindle, it's a lovely little thing and I do want one (but just to carry in my handbag for reading on the move), I couldn't consider reading books at home on the device which is where I do the vast majority of my reading, so I hope you'll forgive me for that little infidelity). I'm very relaxed about the Kindle, at least for the immediate future. It's a different sort of reading, and I don't see physical books going away any time soon. Some readers have found the experience very addictive however, so I shall await (rather nervously) how your new year book buying shapes up if Father Christmas brings you one! Well done on all your events lately - you certainly embrace diversification and 'widening participation' more than any other bookseller I know! I wish I'd known about your afternoon at Brookes, I would have skived from my department to come and watch.